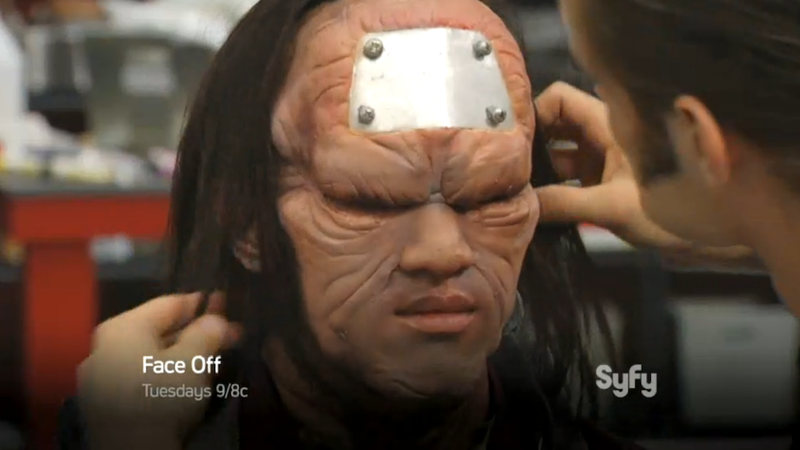 SyFy show Face Off—no relation to the film with one of Nick Cage's most hilarious outbursts—is a reality show where makeup artists compete on projects with one another. Like Top Chef but with movie characters. Last night's episode assigned said makeup artists to delve into the world of Dishonored, creating ogreish characters that I have yet to recognize in the many trailers and playthroughs we've seen so far. Perhaps we'll find out if this is artistic liberty at work or an allusion to creatures and characters we'll meet on October 9th. You can watch the sneak peek below.